Job #248, The Barclay, built for Herbert C. Kaiser in 1930. 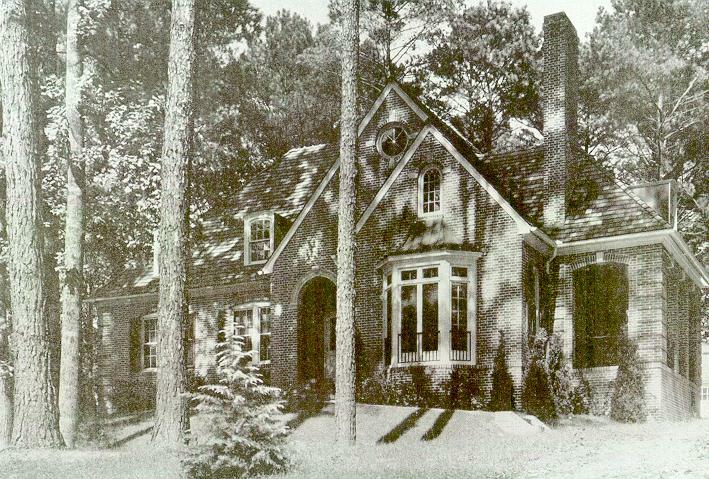 Kaiser was the developer of Lenox Park, the subdivision in which this design was a model home. 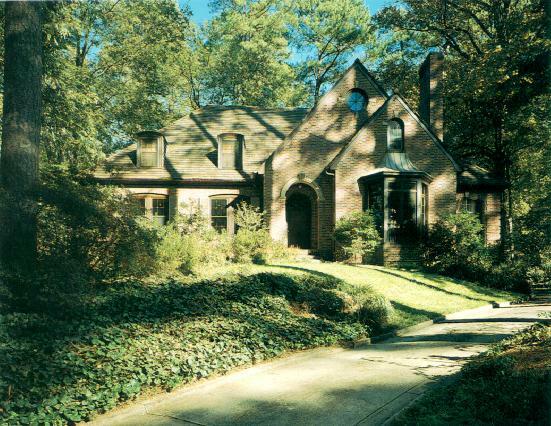 The house is owned by Barbara and Dale Ray, professors of Urban Studies at Georgia State and electrical engineering at Georgia Tech, respectively. The Rays have a great appreciation for their home and its history, as evidenced by these letters I received from Mrs. Ray. She was also gracious enough to send me this photograph scanned from their copy of the 1931 Southern Architecture Illustrated, the Forward of which was written by Buck. Note the strategic placement of the Crook Book on the table in Van Jones Martin's photograph of the study, from Bill Mitchell's Classic Atlanta. The photo below is also Martin's, from the same book. I think it's particularly neat that listed on the Rays' mailbox is not the address of their home but its name: "The Barclay". I meant to write to you when you sent us the notice of the Lewis Crook website. I was delighted at the time, but too much of a procrastinator to correspond as I intended. At the time, I was still working at GSU, have since retired, and have set up an appropriate computer connection from home. I'm making more time for things that are "fun", like this. My husband, Dale, and I live in "The Barclay" at 1607 Barclay Place, N.E. in Morningside-Lenox Park. We have been here for 33 years now, and have cherished the home and wildlife garden all of that time. Before Bill Mitchell's excellent work for the book on your grandfather, we knew little of the history of the house. Even the neighborhood's history was faint, as we struggled to preserve the area from the threat of Interstate 485 soon after our arrival in 1966. In fact, it's the neighborhood connection that prompted this e-mail note today. Over the weekend, the Morningside Lenox Park Association held its now annual Tour of Homes and Gardens. One of the volunteer hosts is also a resident of a Crook house, the one at 1653 North Rock Springs Road. She mentioned it, and your Web Site, which I had forgotten. It was a chance meeting and conversation that has paid off with a visit to your site and printing of the pictures, maps, etc. this morning. What a treasure your efforts have produced! Now, back to our house. It was obvious from the beginning that our home was well designed and well built, but we had no knowledge of the architect or builder. With conversion of the attic in 1970 into a boys dormitory with four bedrooms, it was even very accommodating for a family of six. Today, the dual plan continues to work well with upstairs guest space, offices, playrooms for the grand children, and space for the sons who return now and again. Dale and I continue to enjoy the original floor plan downstairs--perfect for us. The site became a greater and greater asset as the Atlanta region grew, and we enjoyed the benefits of being in the City and close to our universities. Over time (and the cultivation of a naturalist son to stimulate us), we turned more and more attention to gardening and maintaining the original urban forest. The trees, of course, were giants when your grandfather first considered placing the house on the site. The theme of our garden besides general stewardship, is wildlife habitat development and maintenance. I can't tell you how much pleasure that has brought us, and how many critters have found food, water, shelter and safety here in the middle of the City. In time (and our own maturity), we learned to treasure the traditional and classic styling and features, and worked harder to preserve and restore. It is my hope that one of the legacies of your work (and that of Bill Mitchell) will be that Crook homeowners might be less eager to remodel when they understand the quality of what they have. We were always do-it-yourselfers and did not consult the architects before we made changes. Consistent and quality design should have provided an even better result. 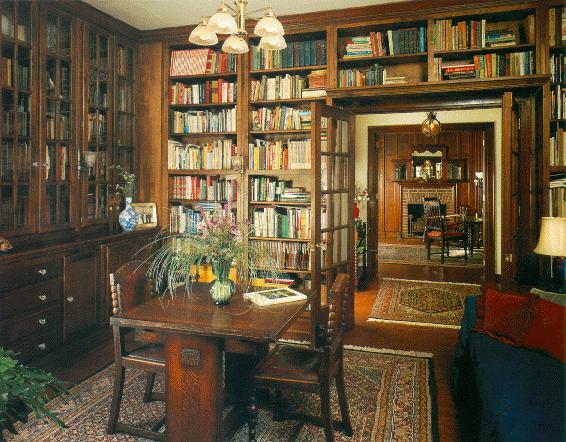 In any event, we have a wonderful home and are very grateful to Ivey and Crook for their fine work. We've preserved much that was original. Come for a visit! It would be our pleasure to show you every detail and discuss what we have learned. I have no doubt that your grandfather would be very proud of you -- your caring and your many talents. I look forward to meeting you. I revisited your web site tonight. I had a question which was answered quickly; then I did some more exploring. You are an amazing web artist. Your grandfather would be very proud! I decided to print some of the pages of Crook architecture and place them in "The Crook Book" in my library for future owners of the house. That took me into your other pages and a visit with your family. You are a very fortunate young man. I also re-read the Selected Writings of Lewis Crook on your site. Did you notice in Southern Architecture Illustrated, that our house (The Barclay) is featured on page 247? We've been so pleased that we have this image of the house when it was new. There's probably some significance too that your Grandfather chose to put it in the book. I also had fun with the image, copying and coloring it according to the original paint that we've found here and there. I've always been amused that the subtitle of the book is Country and Suburban Homes. How the world has changed! Finding the book--actually, we have two copies, and I believe Bill Mitchell has one--was amazing. My husband, Dale, is often in and out of old book stores. One Saturday, some years ago, we were out shopping and stopped at a store on Clairmont, I believe. While looking in the architecture section, he came across the book edited by your grandfather. He showed it to me and began looking for a picture of our house. I was amazed that it was there and he found it!! Kind of a sixth sense thing, I guess. That was before we met Bill, so, the find was even more of a treat. It was through "The Crook Book", though that we learned about the job number and The Atlanta History Center Library. This was at least three years after we got the notice of the publication of the book from Bill. Putting all of it aside, as one of those, "we'll get around to it things," we went out and found a copy of the book, then visited the History Center with our son Geoff (married now for some years and living in Portland, OR, where he has restored an "Old Portland Arts and Crafts House"). What a thrill it was for the three of us to be able to view the plans of our home. They kindly had the blue-prints reproduced for us as owners. We treasure our two sets. One set is shrinkwrapped on board and was displayed seven years ago when our home was on the neighborhood Tour of Homes, and the other is a working set that we get out when we need to understand drain placements, wiring, etc. It was after that that I looked up Bill Mitchell to call and thank him for his research and writing that had led us to Ivey and Crook and the discovery of the plans. We talked on the phone for more than an hour that first time, and I'd like to think we are still friends. We've not been in touch for several years, though, and I do hope he's doing well. Don't forget that promised visit with us when you have time. It's fine to bring the family too. We have a playroom that's fun for little girls.